Feeding South Florida is relieved to hear that a temporary deal has re-opened the federal government. The significant lingering impact of the shutdown will continue to stretch Feeding South Florida’s resources. While federal workers are expected to be paid, they won’t be paid until February 1st. Additionally, federal contract employees will unlikely receive backpay. This is a significant financial impact, as almost 10% of their yearly pay was lost during the shutdown. We anticipate that both federal workers and contractors will continue to need assistance from our network as they recover from the financial impact of the shutdown. Moreover, federal employees took out loans, maxed their credit cards and emptied savings accounts. Recovering from these increased financial burdens will take time. We are also deeply concerned about participants in federal nutrition programs, specifically the Supplemental Nutrition Assistance Program (SNAP). There are early indications from the Hill that once the government is reopened, USDA will have enough funding to provide March SNAP. However, the early issuance of February SNAP benefits on or before January 20 has created a “SNAP gap” that is likely to cause significant financial strain for SNAP participants. This is because they will experience, at a minimum, nearly 40 days between the issuance of February and March SNAP benefits. The Center on Budget and Policy Priorities released an analysis of this challenge, which Feeding America will evaluate in the coming days. 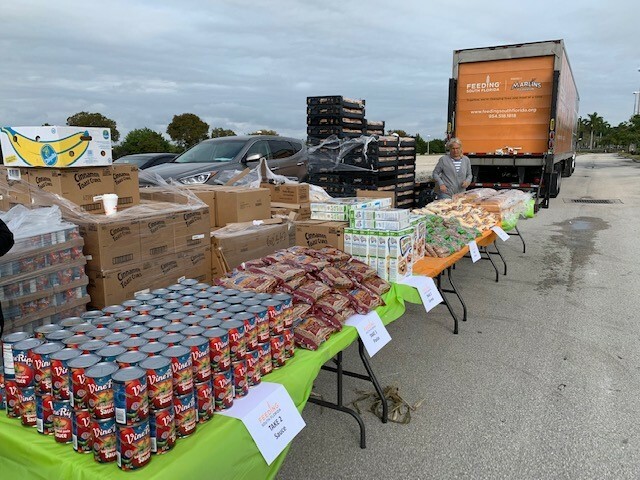 Feeding South Florida is planning for a sustained, increased need in the immediate future and is therefore prepared to continue its increased response.